Los Angeles based performance artist, Suzanne Lacy, has returned to Pendle this month to collaborate with In Situ in launching the community choral project commissioned by Super Slow Way, Sounds of Water/Sounds of Hope. 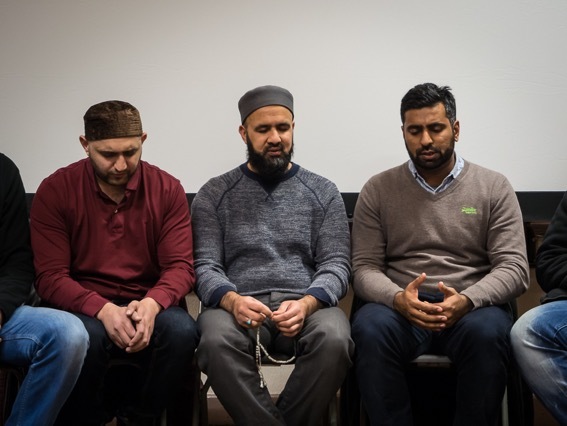 Small groups will create their own lyrics based on their personal experiences and memories of the local area to incorporate with tradition Sufi chanting and the Western derived system of notation, Shape Note. The project aims to bring together up to thousand people in Northlight Mill, Brierfield, this September for a concluding performance evening. 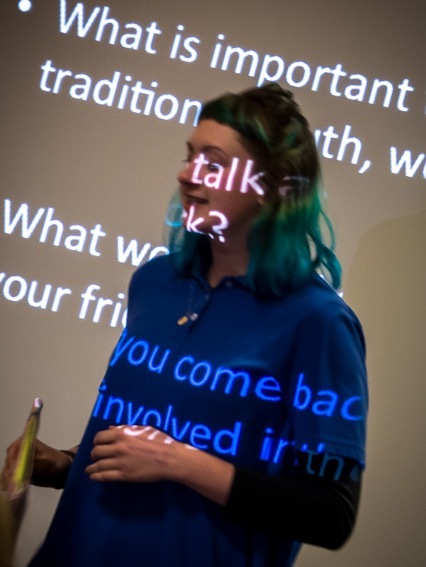 During the week that Suzanne visited she lead conversations with Super Slow Way team members, musicians and local residents to find the topics and questions that could really blossom discussion in the first meeting of participants on 3rdFebruary. The emphasis of the project is to gather people from across the community regardless of their singing talents. Sounds of Water/Sounds of Hope will draw on a variety of vocal traditions to express Pendle’s connection to the mill, both historically and in a present day context. 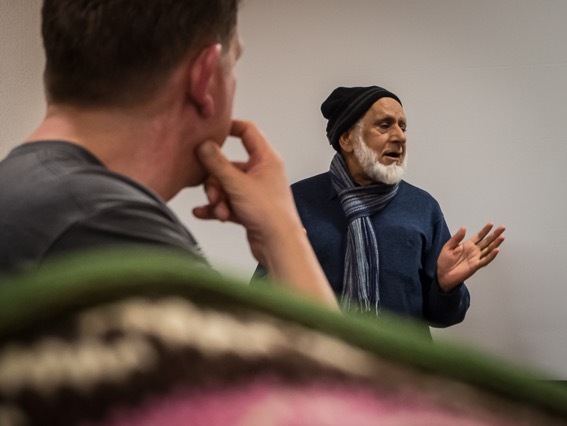 The response to the project was immense with over eighty people attending the first gathering in Brierfield community centre. An introduction from Paul lead onto a more extensive explanation of the project from Suzanne, outlining what is going to happen in the next few months. A demonstration of Sufi chanting followed, with a group of local men giving a taster of what it consists of and then a participatory Shape Note performance. The questions were then incorporated by Suzanne and the room was deep in conversation as a curry dinner was served. More discussion continued after food with a strong performance by Jenn Reid of the industrial folk song ‘Poverty Knocks’ depicting life at the mill to finish. It was deeply moving to look around the room and see just how many people knew the words to this old weaving song. Many had not heard or sung it since leaving the mills decades ago. 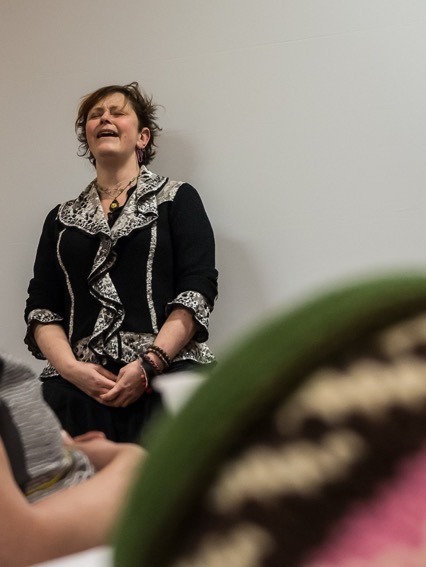 Suzanne will return every month from now until September and in the meantime we will help the participants to develop their ideas into song within small groups. The groups will gather at monthly meetings to work with Suzanne and share stories, song and more amazing food. The next meeting is on March 17th so come along and join in! A link to sign up will be sent out soon.